These conflict minerals are Tin, tantalum, tungsten (the “3 T’s”) and gold which are mined in eastern Congo and are in all consumer electronics products, as well as products from the jewelry, automotive, aerospace, medical equipment, and many other industries. They provide a major source of funding for warlords in the DRC Region fueling the violence that has plagued the region for decades. These minerals are used in a wide range of products including mobile phones, computers, jewelry and vehicles. Original equipment manufacturers and supply chain partners work together to make sure global vehicle production doesn’t support warlords or further the conflict in the DRC. Where are Conflict Minerals found? Conflict minerals could be present knowingly or unknowingly in the supply chain and contaminate it. This could occur at different stages whether through mining or trading in the Democratic republic of Congo or in an adjoining country or further down the supply chain. Companies either at the upstream or downstream end of the supply chain are at risk of being involved with conflict minerals. Conflict minerals can be possibly traded and processes by stakeholders in the upstream stage, before being used in the downstream stage of manufacturing products in the following industries: software, defence, aerospace, automotive and electronics etc. 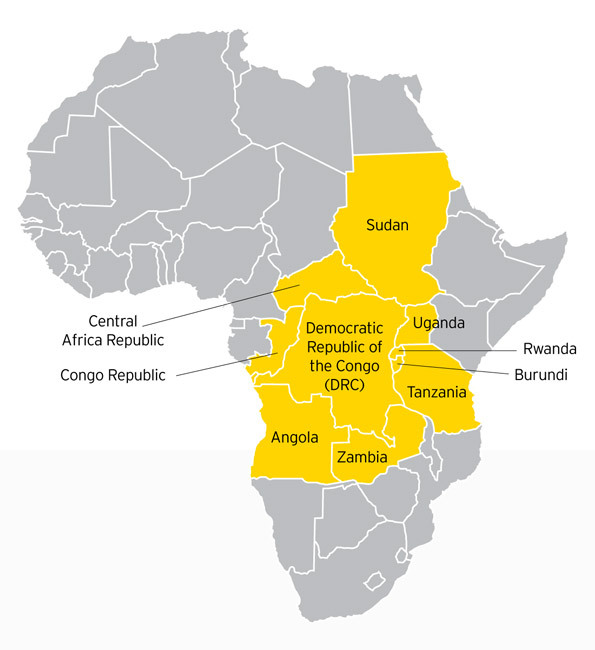 The Democratic republic of Congo remains a complex business environment to do business. In the eastern provinces of the country, some mines are accessed exclusively by small-scale miners or armed groups. Production from the sites pass through many parties before export and this opens it up to exploitation by armed forces. A landmark law regarding conflict minerals was passed in 2010 by US Congress and requires U.S.-listed companies to determine if their products contain one or more of four minerals – tin, tantalum, tungsten and gold – sourced from Congo or one of its nine neighbouring countries. Section 1502 of the US Dodd Frank Act, better known as the conflict minerals provision, is the first piece of legislation aimed at breaking the links between eastern Congo’s lucrative minerals trade and abusive armed groups. It requires U.S. listed companies who believe they source from the region to carry out checks on their supply chains, known as due diligence, to determine whether their minerals purchases have benefited abusive armed groups. Companies must then report publicly to the US regulator, the Security and Exchange Commission (SEC), on the measures they’ve taken. Want to know more about how Conflict Minerals and the Dodd Frank Act impact your company’s supply chain? Learn how EcoVadis can help companies like yours with this regulation. Contact us to request a consultation.